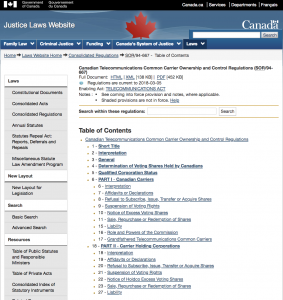 » Peter A. Allard School of Law » Home » 2018 » March » 13 » Question of the Week (Classes 10 & 11): Should Canadian ownership of telecommunications companies continue to be required? 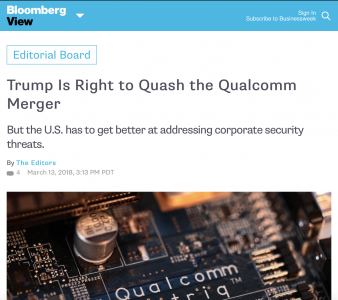 This week the United States blocked the takeover of Qualcom, a U.S. company by Broadcom, a Singaporean company, ostensibly on national security grounds. 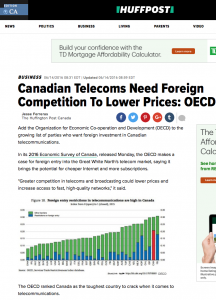 Canada has had Canadian ownership rules in both broadcasting and telecom in place for a very, very long time. So what do you think, do the advantage of foreign ownership relaxation outweigh the concerns?